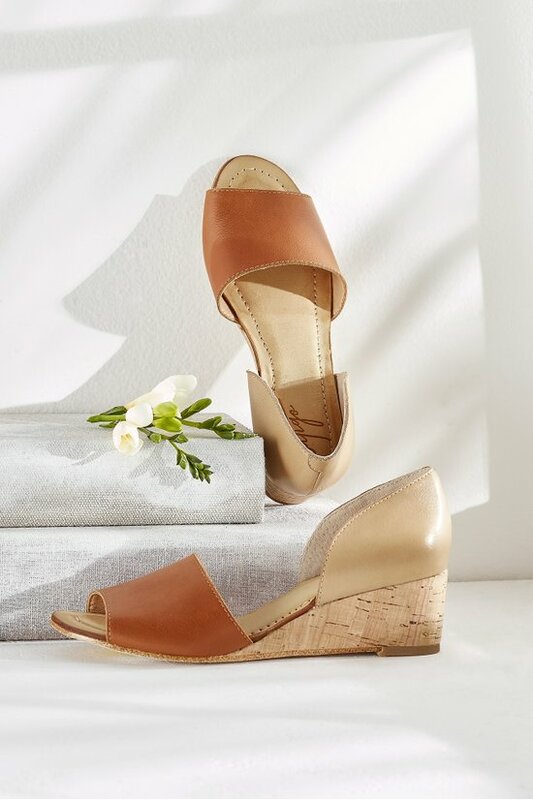 Latigo presents a sleek, minimalist design combining two newsworthy trends: colorblocked washed leather and a 2" tapered cork-wrapped wedge. Day-into-night wearability is a given with a padded footbed, man-made lining and rubber sole. Ease into the warm-weather season with the open toe design and d'orsay styling of these on-trend shoes.